Neil Walker – Currently playing for the New York Yankees. Neil played with BV in our early years. He was on our BV RED 1998 squad. Neil was drafted out of High School and played for the Pittsburgh Pirates, becoming a home town fan favorite before the Bucs traded him to the Mets in the 2015 off season. Cory Mazzoni – Currently playing for the LA Dodgers. Cory played his college ball at NC State. He was a member of BV BASEBALL CLUB from the years of 2002 – 2004. In 2011, Cory was drafted in the 2nd round by the New York Mets. In 2015, the Mets traded Cory to the San Diego Padres where Cory made his professional debut. Cory is currently pitching in the LA Dodgers farm system, playing with the AAA Oklahoma City Dodgers. Adam Liberatore – Played with the BV BASEBALL Club for 1 year back when BV only fielded one team. He is an awesome left handed pitcher – he is currently in the Major Leagues for the Los Angeles Dodgers. 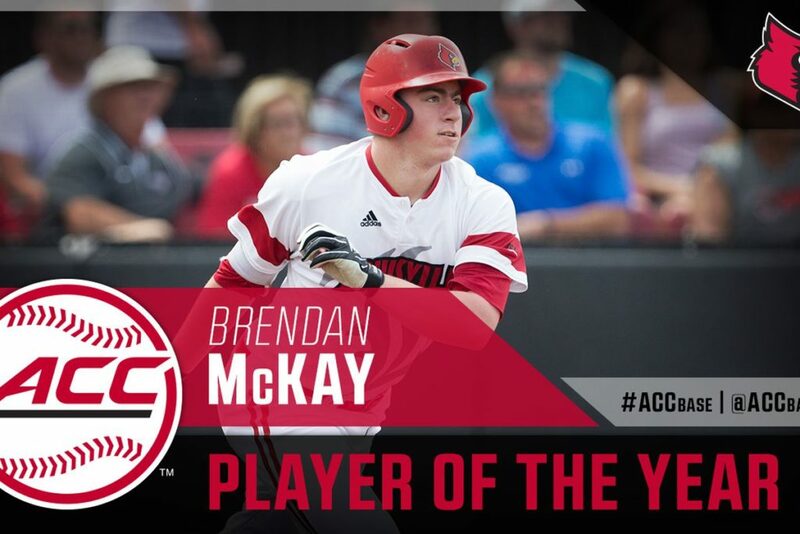 Brendan McKay – Brendan was a lifer in the BV BASEBALL Club; playing for the BV RED program for 7 years. “BK” went on to further his education and play baseball at the University of Louisville. He rewrote the Louisville record books as both a hitter and a pitcher. Brendan led Louisville to Omaha, and the college world series in 2017. Days before leaving for Omaha, Brendan was selected with the #4 pick of the 1st round of the 2017 MLB Draft by the Tampa Bay Rays. He was the first collegiate player taken in the draft. A few weeks after the College World Series, Brendan won the 2017 Golden Spikes Award, given to the top player in College Baseball. 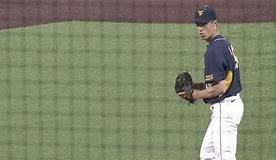 Brendan is currently playing with the Bowling Green Hot Rods in the Rays organization. Michael Grove was drafted in the 2nd round of the 2018 MLB Draft by the Los Angeles Dodgers. Michael played his collegiate carrer at West Virginia University!! MIchael was part of the Sportszone baseball academy growing up – as many know the BV program and Sportszone program merged their brands. Adam Bleday – Played for BV BASEBALL five years!! In his time with BV, Adam was an all around stud on the diamond. After High School, Adam played one season at Virginia University. He decided to transfer from Virginia, and play a season of community college baseball (Gulf Coast Community College) . After one season there he transferred to Penn University. After he graduated from Penn, Adam was drafted in the 27th round by the Houston Astros (2017 MLB Draft) – he is currently playing with the Tri City Valley Cats, a minor league affiliate with the Houston Astros. Patrick Leyland – Currently playing in Double A for the Pensacola Blue Wahoos – who is an affiliate of the Cincinnati Reds — Patrick was a member of the Beaver Valley Baseball Club from 2002 – 2006. He was a two time Cooperstown Champion and a member of the 2004 BV RED 13U National Championship team!! .Johnny Sansone – Played with the BV BASEBALL Club for 3 years. He was a 4 year starter at Florida State University, where he led the Seminoles in many offensive statistics. He was drafted in the 8th round by the Cincinnati Reds – and he is currently playing for the Dayton Dragons – a minor league affiliate for the Reds. Mick Fennell – Played with the BV BASEBALL Club for 2 years. Mick was an outstanding all around player – a fantastic athlete!! He attended California University of Pennsylvania!! Mick was drafter in the 22nd round of the 2016 MLB draft by the St. Louis Cardinals. Mick is currently playing for the Peoria Chiefs, a minor league affiliate for the St. Louis Cardinals!! Connor Coward was drafted in the 26th round of the 2018 MLB Draft by the St. Louis Cardinals. Connor played his collegiate ball at Virginia Tech University. Connor is majoring in Engineering!! 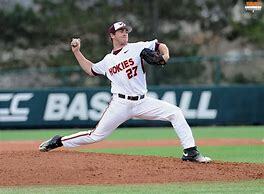 He is a member of the Hokie pitching staff, and is expected to anchor the pitching staff this season. With a fastball in the low 90s and outstanding off speed, Connor is looking to have a banner season, and have a chance to be drafted in the 2018 major league draft!! Even more impressive is that Connor has been on the All Academic ACC Baseball teams all three seasons he has played as a Hokie!!! 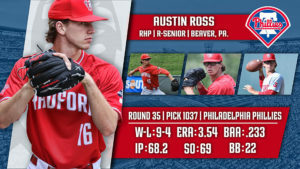 Austin Ross was drafted in the 35th round of the 2018 MLB Draft by the Philadelphia Phillies. Austin played with the BV BASEBALL Club for five years, and was an awesome part of a top line pitching staff!! Austin continued his education and baseball pitching career at Radford University. Donnie Barclay: Current Offensive Lineman for the Detroit Lions of the NFL. Donnie played for BV BASEBALL for five years and was an awesome 3B and pitcher. He had great power at the plate – Donnie went to West Virginia on a football scholarship and was drafted by the Green Bay Packers. Paul Posluszny: Current Middle Linebacker for the Jacksonville Jaguars. Paul played way back in the early years of the BV BASEBALL Club and played for our program for one year – back when we only had one team. Paul went to Penn State on a football scholarship and spent his whole NFL career playing for the Jaguars!! Derek Moye: Played Wide Receiver for the Pittsburgh Steelers. Derek also played BV BASEBALL Club for 2 years. Derek was an awesome all around athlete – one of the best all around athletes BV ever had on a diamond. He chose football and accepted a scholarship to play at Penn State. He was drafted and played a few season for the Steelers in the NFL. Domenic DeRenzo – Currently a Junior at Oklahoma University. Domenic is majoring in Human Relations. As a freshman, Dom got the nod as the starting catcher for the Sooners. At the end of the freshman season, Dom had to get Tommy John Surgery, and missed much of his sophomore season. He is back and 100% as he prepares to get behind the dish for the 2018 season!! This young man is a big league talent that will look to make a name for himself this upcoming season! Sam Fragale played in the BV BASEBALL club for 2 years. He is currently a senior at Virginia Tech University – he had a banner year in 2017 leading the country in many offensive power numbers!! JJ Bleday played in the BV BASEBALL club for five years – and was the winning pitcher on one of our Cooperstown Championship teams. JJ is currently a Sophomore at Vanderbilt University. As a true freshman, JJ started in RF for the Commodores. One of the traditions at Vandy is that the RF bleachers are saved for Vandy alumni. They re-named this area of the park as “Bleday’s Bleachers” – JJ is a not miss MLB prospect, and is looking to build on his outstanding freshman season!! Seth Gray played for the BV BASEBALL Club for 2 season. He is currently a Sophomore at Wright State University – as a Freshman, he led Wright State in hitting while playing 3B. He is a big time hitter, and a not miss MLB prospect. The sky is the limit for this fantastic kid and player!! Phil Madonna played for the BV BASEBALL Club for four years, and was a staple at the catching position – he was one of the catchers that handled Brendan McKay off the mound!! After High School, Phil accepted a scholarship at Sienna University. He is their starting catcher. Phil has had an outstanding collegiate career, and I look for him to have a great senior season!! Christian Fedko played for BV BASEBALL Club for two seasons. He was always a difference maker at the plate. Christian is currently a freshman and playing baseball on scholarship at the Connecticut University. Zachary Kokoska played with the BV BASEBALL Club for five years, and was part of many huge championship for our program!! Zach is currently a Freshman at Virginia Tech University. In his senior season at Latrobe High School, Zach was the “PA Gatorade High School Baseball Player of the Year” – He is looking to make an impact on the Hokie baseball program as a Freshman!! Mark Engle played with the BV BASEBALL Club for one season. Mark is a high school graduate of Blackhawk High School, and he is continuing his education and baseball career at Radford University – Mark is currently a Freshman at Radford. After his season with BV BASEBALL, Mark joined Sportszone Baseball – as many know BV and Sportszone merged our baseball brand and we are now one organization!! Jake Pilewicz played with BV BASEBALL Club for two seasons – then went on to play with Sportszone Baseball – Jake is currently a senior at Penn State University!! James Meeker played with the BV BASEBALL Club for 2 seasons – James is currently a senior at the University of Delaware – after his BV Baseball days, he joined with Sportszone baseball – as many know BV and Sportszone merged our baseball brand and are now one organization!! Michael Turconi played with the BV BASEBALL Club for five seasons!! He was an awesome lead off hitter and second basemen. Michael is currently a senior at Blackhawk High School. He was highly recruited by some of the best D1 colleges in the country. Michael accepted a scholarship to play his college baseball at Wake Forest University!! Kyler Fedko is currently a senior in high school – he played for BV BASEBALL Club for two seasons. He was always a great athlete on the field, and he always played up in the travel baseball scene. Kyler is going to further his education and play baseball at Connecticut University. Josh Hoffman played with BV BASEBALL Club for nine seasons. He has developed into a tremendous athlete on the field. He is capable of playing middle infield in college as well as outfield. Josh has decided to accept a scholarship to play baseball at Youngstown State University. Burke Camper played with BV BASEBALL Club for two seasons. He has developed into an awesome catcher. Burke is currently a Junior in High School. Burke has accepted a scholarship to catch for Towson University in Maryland. Ehtan Moore played with BV BASEBALL Club for two seasons. He is an outstanding pitcher and middle infielder. 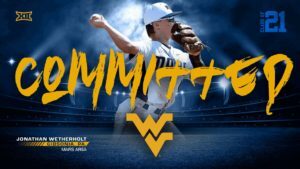 Ethan is a junior in high school, and he has accepted a scholarship offer to play college baseball at Kent State University. Connor Ollio played with the BV BASEBALL Club for two seasons. He was an outstanding baseball player, and worked very hard on his game. Connor is currently a senior at Butler High School, and he has accepted a scholarship to play baseball at the University of North Carolina in the ACC!! Brady Gulakowski is currently a red shirt Freshman at NC State University. Brady could always flat out hit, and that did not change from his youth days to his collegiate days. Look for Brady to break out in his first season of D1 college baseball!! Connor Adams played with the BV BASEBALL Club for 3 seasons!! Connor is looking to further his education at Tennessee Tech University. He is currently a Freshman and looking to make his mark early in his college career!! Cole Shinsky “The Big Cole Train” was a long time BV player; as he played with our program for six years!! Cole was a big part of many BV Championship runs!! Cole is currently a red shirt Freshman at Ohio University!! I’m confident this Cole will leave his mark on the Ohio University fans!! It will be fun to watch his talent unfold at this University. Joey Rock played for the BV BASEBALL Club for 4 seasons!! 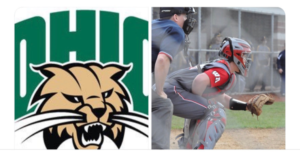 Joey was an awesome left handed pitcher, and after an outstanding high school career at Hopewell High School, Joey accepted a scholarship to pitch for Ohio University – and join Cole Shinsky (another BV Alum listed above)!! Tommy Pellis is currently a Sophmore at Penn University. Tommy played with the BV BASEBALL Club for 3 seasons!! In his freshman campaign, Tommy was the Baseball America Ivy League pre season freshman of the year. Tommy is looking to build on his outstanding freshman season with Penn!! Trent Vietmeier is currently a Freshman LSU. He was a staple playing for several years on our BV Black teams growing up. Trent is a very big and strong player – he is looking to make his mark in the SEC as a true Freshman! Alex Stobart is currently a Sophmore at Tallahassee Community College in Florida!! Alex was a standout pitcher/player as one of our BV Black teams growing up!! Alex has a great arm and a great toughness that makes him tough to beat!! Look for Alex to have a banner sophomore campaign before moving to his next college destination to pitch!! Tyler Garbee is currnently a Senior at Mercyhurst University – he started his baseball career at Pitt University – Tyler was part of the Sportszone baseball academy growing up – as many know the BV program and Sportszone program merged their brands, so Tyler spent a lot of time with a lot of our current BV coaching staff! Vince Augustine is currently a Senior at the University of Cincinnati – Vince was part of the Sportszone baseball academy growing up – as many know the BV program and Sportszone program merged their brands, so Vince spent a lot of time with a lot of our current BV coaching staff!! Caleb Potter is currently a senior at Southern New Hampshire University. Caleb is majoring in Pre Sport and Exercise Psychology. Caleb played several years for BV (2010 – 2011). He was one of the most powerful kids we have ever had, he also had great speed for a big player. Michael Crawford is currently a Freshman at Mercyhurst Univerisity. Michale played with BV BASEBALL Club for two seasons. Michael is an excellent left handed pitcher!! Ray Scala Jr. is currently a Junior at Slippery Rock University. Ray played for our BV BLACK squads for several years. He played his high school ball at Laurel and finished at Neshannock. He was a very hard worker, and his hard work has paid off!! Jay Cortese is currently a Junior at Slippery Rock University. Jay played for BV for several years. He was a fantastic athlete, with a very live arm. Matt Gordon is currently a Senior at Slippery Rock University. Matt started his college career at Binghamton University in New York. He transferred back to The Rock last year. Matt is a big strong kid and is currently playing two ways for Slippery Rock!! Corbin Kessler is currently a Sophomore at Mercyhurst University. He played with BV BASEBALL for five years. He was an awesome competitor, and will be a real asset to the Mercyhurst program!! Matt Gibson is currently a Freshman at Mercyhurst University. He played with BV BASEBALL for five years. Matt was a great player for our program – look for Matt to have an outstanding career at Mercyhurst. Stefan Mrkonja is a Senior at Point Park University. Stefan would always shine on our biggest stages. In the Cooperstown Championship game when Stefan was a 12U player in our program, Stefan hit 3 homeruns to tie a Dreams Park record. He played with BV for five years!! Ben Herstine is a Senior at Point Park University. Ben was a very solid catcher for our BV program growing up, and he took his catching skills to the collegiate level. Ben Played with BV for 3 years!! Zach Logan is currently a Freshman at California University of PA. Zach played with the BV BASEBALL Club for 2 years – he was a very fast and athletic ball player. Austin Logan is currently a Senior at California University of PA. Austin played with the BV BASEBALL Club for five seasons. He was one of the most sure handed middle infielders we have ever put on the field. Richie Serignese is currently a Sophomore at California University of PA. Richie really developed into an outstanding pitcher and player. He played for the BV BASEBALL Club for 2 years. Steve Twardy is currently a Freshman at California University of PA. Steve was an outstanding pitcher for one of our BV BLACK teams growing up. He played with the BV BASEBALL Club for 2 years. Chris Wastchak is currently a Senior at California University of PA. Chris was an outstanding left handed pitcher and first basemen. He was the winning pitcher of one of our Cooperstown Championship games. Frankie Fraschetti is currently a Sophomore at the University of Maryland in Baltimore County. Frankie played for BV BASEBALL Club for 2 seasons – he was an outstanding pitcher and player for our program. Kolby Wolf is currently a Sophomore at West Virginia Wesleyan University. Kolby was always a big time power hitting player for our program. Kolby played for BV for four seasons!! Gino Quahliero is currently a Sophomore at Laroche University in the Pittsburgh area. Gino played on one of our BV BLACK teams growing up. He was a very sure handed middle infield player!! Jamie Switalski is currently a Senior at the University of Maryland, Baltimore County. Jamie is majoring in business technology administration. Jamie joined BV from 2011 – 2012 and played 3B for the team that beat East Cobb in the final four of Disney to advance to the National Championship. We was a fantastic all around player!! Chris Wastchak is currently a senior at California University of Pennsylvania. Chris played BV from 2007 – 2010. He was an extremely powerful left handed bat, and he was the winning pitcher on the mound in the Cooperstown Championship game in 2008. Sevin Schoenweis played with the BV BASEBALL Club for one season (17U) – he signed a baseball scholarship to play baseball at IUP. Sevin will be a Freshman in the 2018 season!! Brandon Rea played with the BV BASEBALL Club for one season (16U) – he just recently signed to play his college baseball at Gannon University!! Brandon Fleeger played for the BV BASEBALL CLUB for seven seasons!! He was one of our toughest players for a long time – with a great arm, he dominated the opposition!! Brandon is currently a senior at Butler High School, and he just recently accepted a scholarship to play baseball at Seton Hill University!! **We will continue to update this as players make their college decisions! !